We manufacture own brand of "Speedex Australia" Wood Turning Tools which we have decided to now sell online. We only have limited stock but have alot of different sizes and styles. They are all quality High Speed Steel (HSS) tools which are hardened. 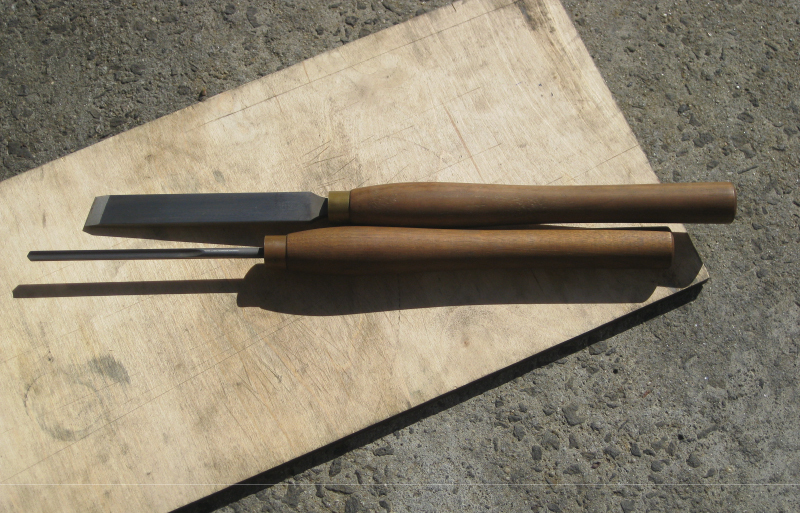 Most of our woodturning tools are unhandled or without wooden handles, but we do have a few tools with wooden handles and have some separate wooden handles also for sale which are suitable for mounting wood turning tools into. We also have alot of live centres and specialty centres and associated lathe accessories and various brass ferrules for handles which we hope to advertise online as well soon. 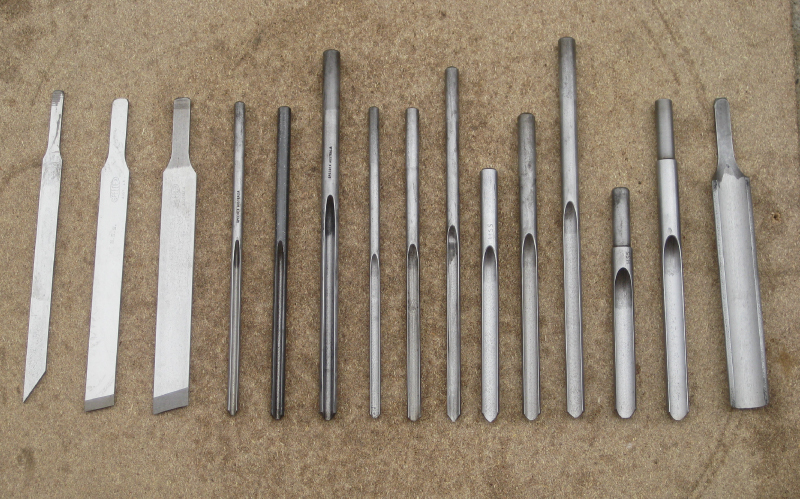 All lengths of tools listed are lengths as measured sticking out from handles, so tool lengths should be around 35 to 40mm longer than specified for all unhandled woodturning tools listed below. Again stock is limited! So be quick before stock runs out! We also sell a wide range of brass ferrules for mounting onto handles, 10mm(3/8"), 13mm(1/2"), 16mm (5/8"), 19mm(3/4"), 22mm(7/8"), 25mm(1") & 32mm (1-1/4") outside diameter. 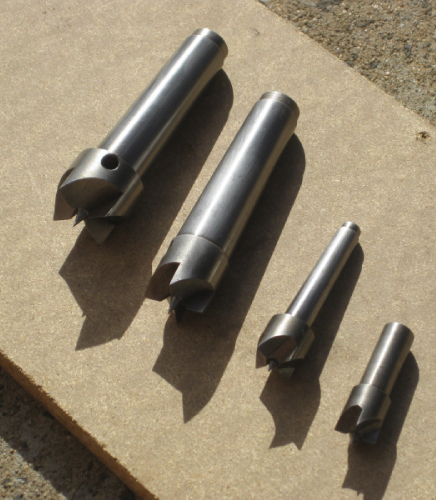 We also manufacture a range of wood turning Spur Driving Centres in various morse tapers. Brass Ferrules 12.7mm or 1/2" Diameter ..
Brass Ferrules 16mm Diameter ..
Brass Ferrules 19mm Diameter (3/4inch) ..
Brass Ferrules 22mm Diameter (7/8inch) ..
Brass Ferrules 25mm Diameter (1 inch) ..
Brass Ferrules 32mm Diameter (1-1/4inch) ..
Brass Ferrules 9.525mm Diameter (3/8 inch) ..
Wood Turning 10mm Spindle Gouge HSS with Handle ..
Speedex Woodturning Tool 13mm Spindle Gouge 180mm long. High speedex steel. Unhandled. ..
Speedex Woodturning tool 13mm round Spindle Gouge 235mm long. High speed steel. Unhandled. ..
Wood Turning 13mm Spindle Gouge HSS with Handle ..
Speedex Woodturning Tool 16mm Round Spindle Gouge 120mm long. High speed steel. Unhandled ..
Speedex Woodturning tool 20mm Skew 180mm long. High speed steel. Unhandled ..
Speedex Woodturning Tool 25mm Skew 180mm long. High speed steel. Unhandled. ..
Wood Turning 25mm Skew HSS with Handle ..
Speedex Woodturning tool 25mm Wide Roughing Gouge. High Speed Steel. Unhandled ..
Speedex Woodturning tool 4mm Parting Off Tool 180mm long. HSS Unhandled. ..
Wood Turning 8mm Bowl Gouge 195mm long HSS Unhandled ..
Wood Turning 8mm Spindle Gouge 185mm long. High speed steel. Unhandled ..
Speedex Woodturning Tool 8mm Round Spindle Gouge HSS with Handle ..
Wood Turning Chuck Mounting Wood Screw. M8 thread with 2 start wood thread ..
Wood Turning Spur Driving Centre 13mm parallel Shank x 16mm ..
Wood Turning Spur Driving Centre 1MT x 13mm Diameter. Please note that this tool will be sent..
Wood Turning Spur Driving Centre 1MT x 3/4 inch diameter ..